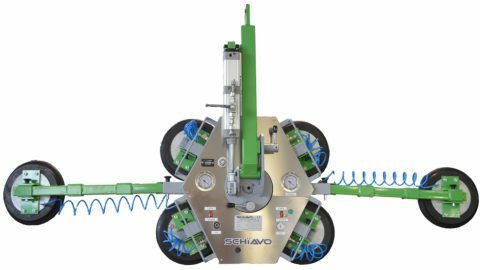 Compact, flexible and powerful, VM is a vacuum device for glass sheets handling with 4, 6 or 8 vacuum pads, with manual rotation and manual tilting. It features rechargeable batteries 24 V with automatic recharger included. 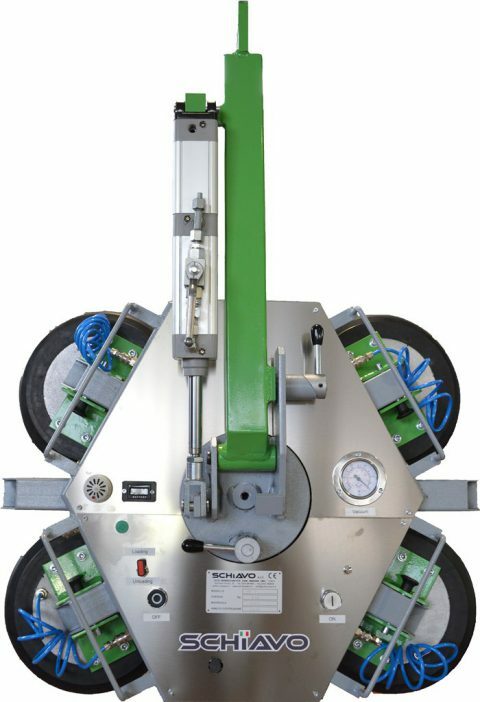 Safety features are independent vacuum pump and vacuum tank to guarantee the glass grip even in case of lack of the electrical power and acoustic and luminous alarm, single or double safety circuit and safety cylinder to control the tilting. 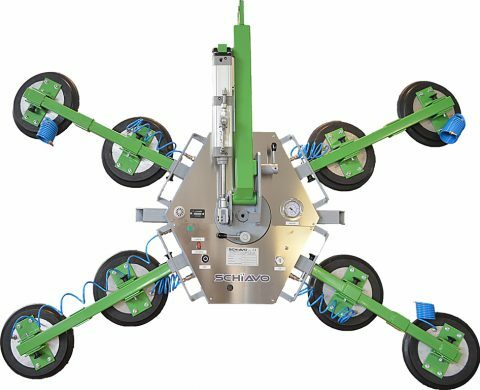 The flexible configuration allows to configure the device to suit the best to the operator’s requirements, adding and moving arms and suctions cup at will.